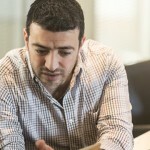 Nizar Romdhane is the Director of Ecosystem within the Media Processing Division at ARM. He has been working for ARM for 8 years and prior to that worked for STMicroelectronics leading SOC development tools and was a lecturer in universities teaching C/C++, electronics and Computer Engineering. He leads a worldwide team that works with the graphics ecosystem like game studios and game engine and middleware providers so they make the best use of the ARM GPUs and CPUs as well as helping them promoting their games to OEMs and Silicon Providers. ARM designs the technology that is at the heart of advanced digital products, from wireless, networking and consumer entertainment solutions to imaging, automotive, security and storage devices.